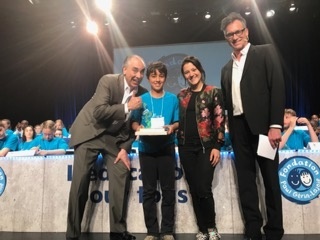 We are very proud to announce that ISTP 5th grader Ylias G. recently won 1st prize in his region in the 2017 La Dictée PGL Finals in Montréal, Canada! 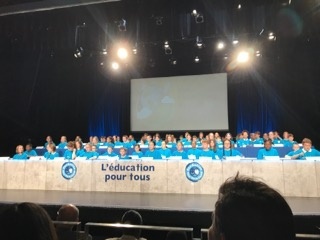 Ylias was one of only 80 students, out of hundreds of thousands of francophone students who participate in this prestigious competition each year, to move on to the final dictée! The experience was both challenging and rewarding. Ylias says, "I was kind of nervous at the beginning of the final competition, but then I relaxed because I knew that I had already reached the finals, which is really hard, so I knew that I should have confidence in myself. I was really happy when I won, but I was also surprised because the dictée was really hard." Ylias' placed first among all students from outside of Canada, a category that included students from 5 different countries around the world. Great job, Ylias! Your hard work and perseverance really paid off!